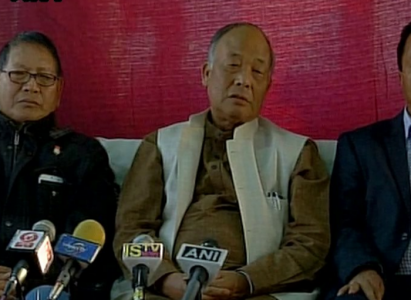 IMPHAL: Congress leader Okram Ibobi Singh on Monday resigned as Manipur Chief Minister, paving the way for formation of a new ministry under the BJP. Ibobi Singh, who had refused to quit earlier saying his party had the numbers, had later agreed to resign by Tuesday evening. His decision to resign on Monday night comes as the BJP legislature party elected minister Nongthombam Biren as its leader. Biren is to stake claim to form the next government.